68 Champ 17' 6" Speed Boat - 14 YEAR project finally finished. Length 17' 6"and Width 8'. Hull modified deep V. The engine is a 350 Mercruiser, 350 horse power. The out drive is a Mercruiser Alfa one. $15,000. in motor and outdrive. 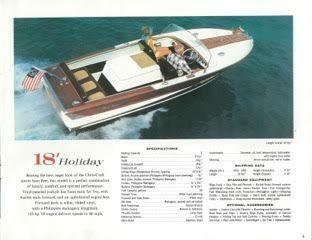 Boat was built in Miami, FL. 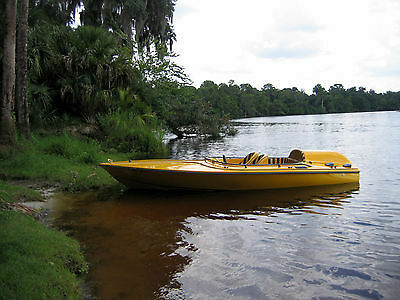 About 5 boats were made a year, from 1968 to 1972. I am the second owner of the boat. Boat garage kept its whole life. Over 32,000. invested in this project. If you're looking for that boat that know one else has, this is it. This boat was built tough. It slices thru the waves and rides like a champ. Everything on this boat is brand new and I have all receipts. Awlgrip marine paint $5,000 just in materials to paint the boat. Silver vein powder coating on railings, cleats, dash panel, all hardware, valve covers and air breather. New custom built 30 gallon aluminum gas tank. New marine gauges, switches, steering wheel, carpet, 2 bilge pumps, 2 engine compartment blowers, 1,500. precision propeller. 25 Hours on motor - complete rebuild. Everything is new: exhaust and riser manifolds, marine circulating pump, hoses, marine alternator, marine starter, drivedog, Edelbrock performer cam and intake, rebuilt marine Rodchester Quadrajet carb. Trailer has new radial tires, bearings, winch and runners. Recently installed smart tab trim tabs . Watch videos on you-tube. https://www.youtube.com/user/LindaZebb/videos Here you will find videos on YouTube under 68 Champ. Watch one video then click on linda zeb and all videos will show up. 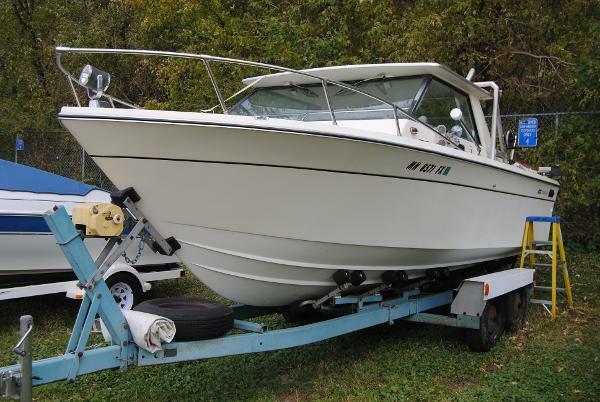 You will have a hard time finding another champ boat VERY RARE. First initial deposit of 500.00 to be paid through pay-pal with balance of cash due on pick up of vessel. Balance due by 10 days of auction end.